Revisit memories in old photos from when you first started dating. These photos are from the first year Kevin and I were dating, so 2005! At the time we spent our entire summers out at Stafford Lake boating with his family. 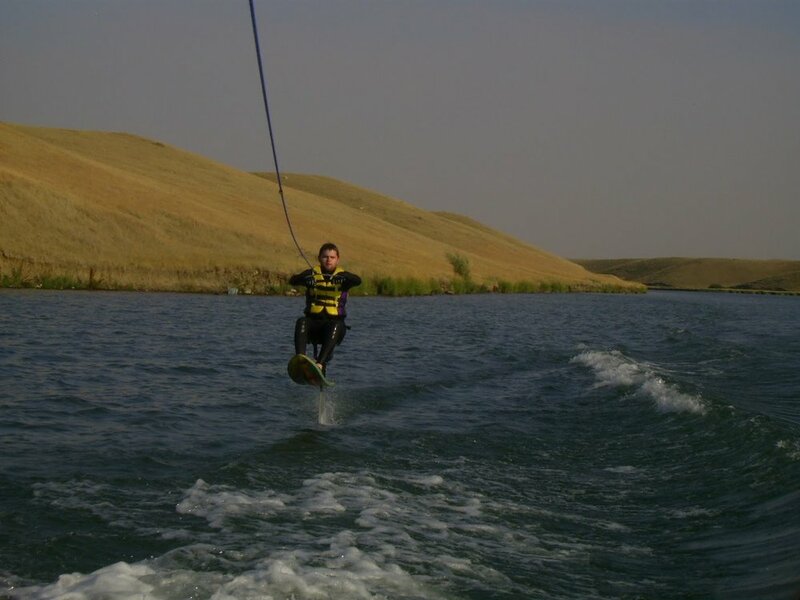 On the boat was a variety of options - you could ski, wake board, surf board, knee boards or air-chair. I, being the chicken I was then only ever tried the knee boards. Which were a lot of fun! Kevin, of course having grown up on the lake has done all the options and was pretty good on them. We spent a lot of time out there on the boat! I hope that one day we can own one and continue the adventures!! No pictures of me as I was always taking the pictures!! Have you ever gone boating? Do you have a favorite dating memory? ?